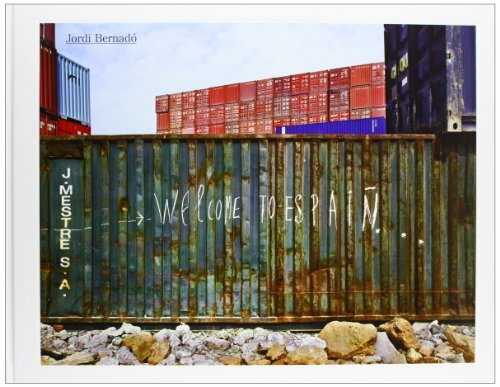 Bernadó creates projects to express his keen eye and spirit. Despite his having explored American spaces and cities in Japan and Europe, Bernadó has always maintained his focus on Spain, attentive to the evolution of its landscape and the décor of its interiors that is linked to very different worlds. He casts an amusing look at the details that only he is able to see and makes them distinct. His images turn reality into a theatre set. The boundaries between the real and the unlikely become blurred. Beyond Bernadó's vision of the superficial world and his form of satire, one is given a glimpse of his inspired personality on this guided tour of the 20th-century playwrights who have brought the senseless and the ridiculous to the stage, even the grotesque, as embodied in the writings of Cervantes and the paintings of Goya. And behind this cumulus of symbols, there is the depiction of absurdity.